I was terminated from my job last September when I was pregnant (first pregnancy, conceived after 10 years). The news was heartbreaking for me. During those tough times, God blessed me immensely, one was the birth of my baby and second I passed a certification exam, which can give me a good job. I am waiting for my interview call from a company. 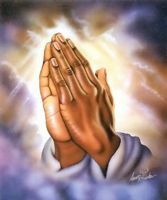 Please intercede for me to God so I can perform well in the interview and land the job, which I always dreamt of. Please pray for me that I will be placed in a workplace where I will be treated nicely and can grow career-wise. I don't have much confidence and during interviews I tend to struggle getting the right words. In the name of God, take away from me this fear and make me confident.